In 2017, EXPO REAL has grown appreciably in terms of exhibitors and thus reflects the strong development of the property industry. New this year: the REIN Real Estate Innovation Network with its own forum to examine digital change and the opportunities for the property industry as well as the EXPO Real City Leaders Summit, which is aimed at cities and regions and facilitates an exchange of views among them. This attractiveness is evidenced both by the many exhibitors who come back again every year as well as the numerous new arrivals who are attending the fair as exhibitors for the first time—including many international companies such as Blackrock, Hilton and Nakheel. Also contributing to this success are the joint stands, which have geographic or thematic emphases. REIN came about from a cooperation between European property tech initiatives, its objective is to bring start-ups and established property companies together in the REIN Forum of EXPO REAL and to inform about developments and possibilities in the proptech area. This includes a panel discussion too on the subject of “Disrupting Real Estate – Proptech, Accelerators and Venture Capital”; taking part will be international investors in proptech start-ups like Aaron Block, co-founder and Managing Director of MetaProp NYC, Taylor Wescoatt, General Partner at Seedcamp/Concrete VC and Brendan Wallace, Managing Partner, Fifth Wall. One focal point in the Investment Locations Forum this year is ‘The Asian Century: Real estate capital cross-flows Asia-Pacific/Europe’. From the Asia-Pacific region come approximately one half of all investments in Europe; in the opposite direction, big investors from the European area are looking for investment opportunities in the Asia-Pacific countries. Japan, China, South Korea and Australia take center stage in the discussions, where representatives from both directions will be participating. With the EXPO Real City Leaders Summit and the Urban Innovation and Investment seminars, EXPO REAL takes account of the great many cities and regions exhibiting. These events serve for an exchange among the city and regional leaders themselves as well as with investors and project developers. In particular, the international composition of the panels guarantees a wide-ranging evaluation of the respective topics and this can point out various approaches to a solution. 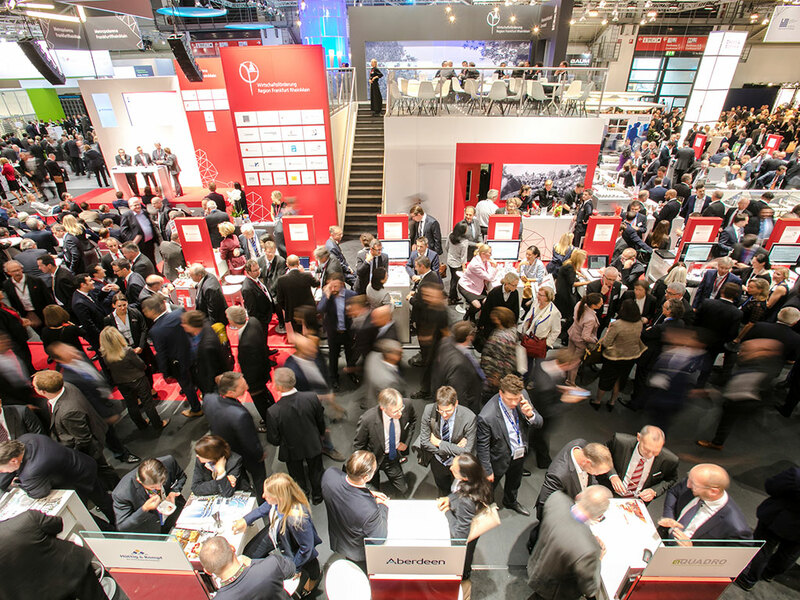 Across the board, the varied conference program of EXPO REAL provides information and orientation with regard to overarching subjects in the international property industry, individual areas and segments and a range of investment markets. The highlights include the opening round in the EXPO REAL Forum when Professor Clemens Fuest from the Ifo Institute analyses the current economic situation as well as the last day of the fair with an assessment by American Noble laureate Joseph E. Stiglitz as to ‘Uncertainties in Economics and Politics: What matters? What is the influence for real estate?’ Both events are aimed at all participants of EXPO REAL—regardless of their respective professional orientations.